I’d like to think that after 18 years of parenting (my kids are 18, 16, and 6) I would have mastered something as simple as giving medicine to my kids (and self) as properly instructed by the doctor. But, to be honest, I usually fall somewhere between day seven and day nine of the adherence to drug treatment. And even when I have made it to day 10 there are often a handful of missed doses left in the bottle. First, I forget. I start off each prescription with the intention of getting every last drop of medicine in my child. I make a medication reminder chart. I keep it in the kitchen, and I follow it religiously … until I don’t. A missed dose here, another there, and soon the 10-day prescription is up. My child is feeling better, and I have unfortunately just added to the growing problem of antibiotic resistance. Second, I give up. Giving a child eye drops followed by liquid antibiotics three times a day for 10 days is a challenge. My child usually wins at least once a day because “Mommy, those drops scare my eyes” and “that stuff tastes REALLY BAD!” So, while I am an excellent persuader and pretty good at hiding antibiotics in something else (I’ve had the best results with mango water ice), I usually run out of both patience and flavored water ice somewhere around day seven. So, what can we as parents do to avoid these pitfalls? 1. Scrap the paper. Try a medication reminder app. Multiple users. With the MediSafe app, I could set up medication schedules for different family members with separate reminders for different phones. Medicine cabinet. A detailed list of each user’s prescriptions, with a refill tracker and contact information for preferred pharmacy and the prescribing doctor. Follow-up medication reminders. If my teenager didn’t confirm via the app that she took her meds, a follow-up reminder was sent to my phone. Medication reminders. 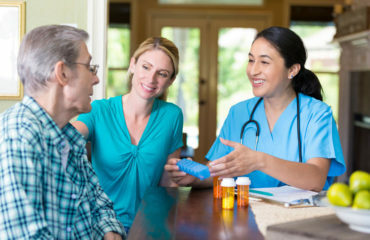 Many medication management apps can help to remind the user to take their medication at certain times of the day, as well as provide reminders as to how and when to take the prescribed medication. For example, the MediSafe app can send a morning reminder to take the medication along with you each day. Alert sounds. Though they bordered on sophomoric (think Austin Powers. Yeah, baby. ), I did think the library of ringtones for medication reminder alerts was pretty funny. MediSafe worked for me, but you should check out what’s available and see if there’s something that better meets your needs. Other medication reminder apps I considered included: Pill Monitor, Dosecast, Med Helper, and MedCoach. 2. Keep a Positive Attitude. Medication is aimed at helping us to get well. Teaching your children the importance of medicine and demonstrating how the medicine works can help in making sure your child takes their medicine as prescribed by the doctor. 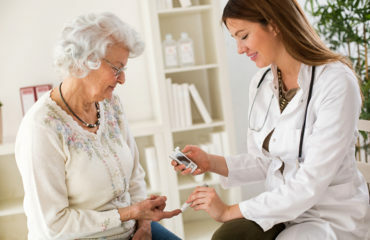 Most prescriptions call for you take your medications at the same time every day, such as in the morning with your breakfast or at night before dinner. Keeping a medication reminder chart or using an app as mentioned above will help to keep you consistent with your prescribed medication schedule. As your child takes their medication, reward them by having them place a sticker or checkmark on the medication chart. 5. Save the water ice for dessert. I also found FlavorRx pharmacies that will add flavoring to liquid prescription (many of the pharmacies are in the Independence Blue Cross network), and if you’re not sure which of the 16 flavors will taste best in your child’s (or pet’s!) medicine, there’s Fred the Flavorbot to help you decide. In the end it doesn’t matter which method you use for managing your child’s medication. What matters is that we help protect our children’s health by protecting the long-term effectiveness of antibiotics. 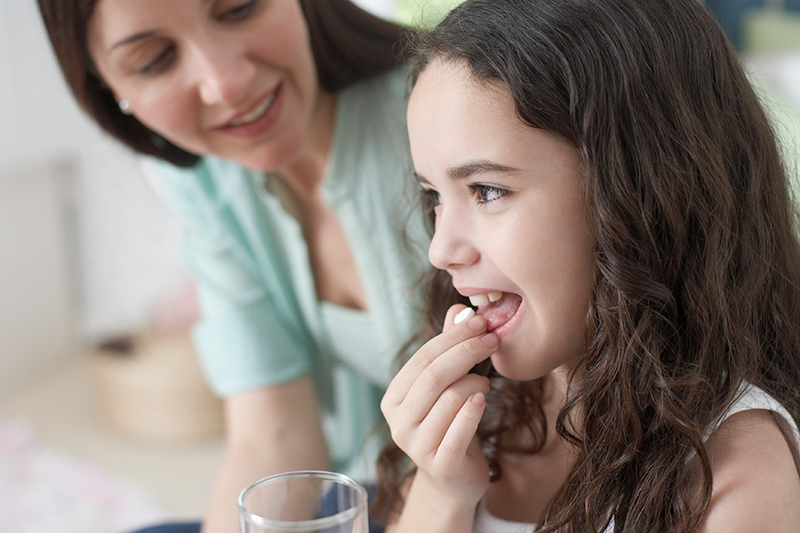 What are your tips and tricks for giving kids their medication?